Living with persistent neck, shoulder and upper back pain is exhausting and can reduce the quality of life. Work, stress and daily living can affect it, but it’s hard to know what to do to make it go away. The neck is the bridge between the head and the body and must be strong enough to support the weight of the head (which is about one tenth of the entire body weight). It also needs to be flexible, as our eyes, ears, nose and mouth require the head to make rapid and accurate movements. This flexibility results in some structural weakness of the lower neck, which results in pain, stiffness and degenerative changes. The neck is also connected to the thoracic spine (the part of the spine connected to the ribs). Tension in the thoracic spine can impact on the neck and it’s important to release contraction in the muscles of upper back when treating neck pain. Another common feature of neck and shoulder pain is mental stress. Stress in itself is not a bad thing; it can motivate and inspire us, but if we don’t get a chance to relax, stress can lead to permanently contracted muscles. Long-term neck pain can reflect conflict between our thoughts and feeling – for instance we might feel angry, but feel unable to express it. Can acupuncture help with neck and upper back pain? We use a combination of gentle but effective acupressure massage and acupuncture to identify and treat painful areas on the neck and back. 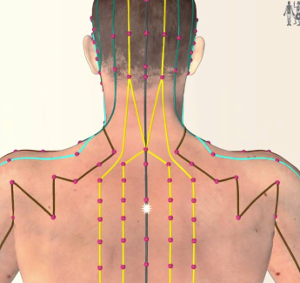 There are several acupuncture channels connecting the neck, upper back and arms. We use specific trigger points along these channels that help to release muscle tension. Acupuncture also has an effect to relieve mental stress, which is often a major contributing factor to shoulder pain. 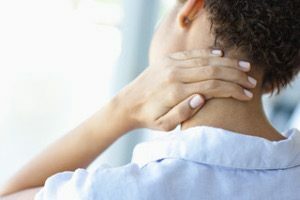 If we think that your posture, life style or work is having a negative effect on your neck pain, we will recommend some easy to follow exercises, stretches or relaxation techniques. Discover how acupuncture can help you with a free 20 minute taster session. Available on Friday and Saturday in January and February. Contact info@islingtonacupuncture.com to book your session.